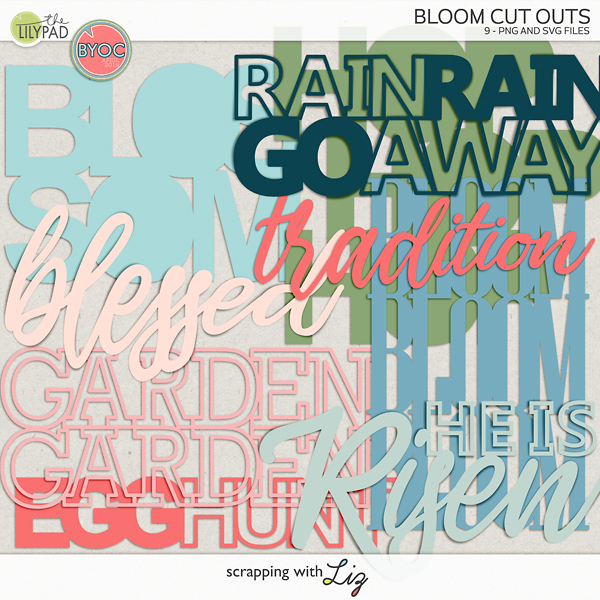 Scrapping with Liz: Week 41: Long but Fun! It was a long but fun week. It was one of those weeks where each day just seemed to have so much going on and not enough time to do it all. But, as I look back at my photos, I realize that even in the busyness of it all we made lots of memories. We were able to have a movie night, go on a family bike ride and play in tents....guess we weren't too busy after all! Another good reason to look over your photos at the end of a busy week, it will kind of make time stand still for a moment and let you see that even in the busyness of it all precious memories are being made. Take a closer look at my pages below (if you want to!). I even added a QR code! 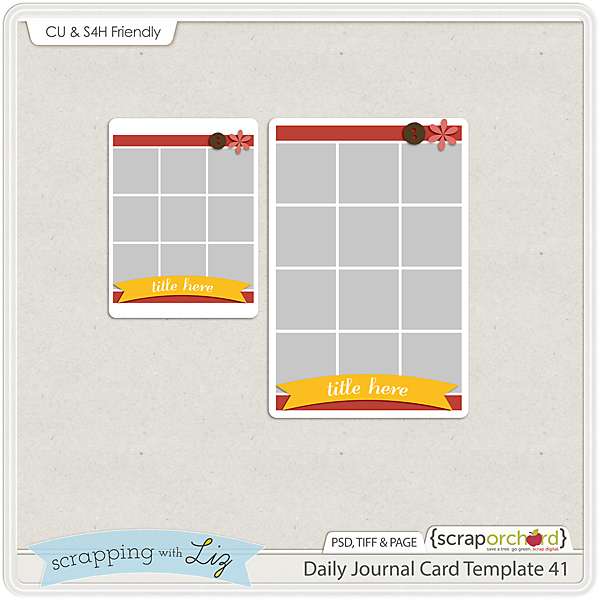 Also, be sure to grab the free journal card template. Journaling: Let’s see, I’m just going to randomly go around and tell you what went on this week. We’ve learned that Matthew loves making domino tracks. We had lots of long days of school this week, even into the evening. Sometimes that’s just the way it goes when you have doc, dentist and audiologist appointments during the day. I love seeing my oldest and youngest work together to do their chores. Lydia likes a little bit of lettuce with her ranch. We had co-op gym day. The kids got some good exercise and some healthy competition. Friday night was movie night with lots of snuggles. 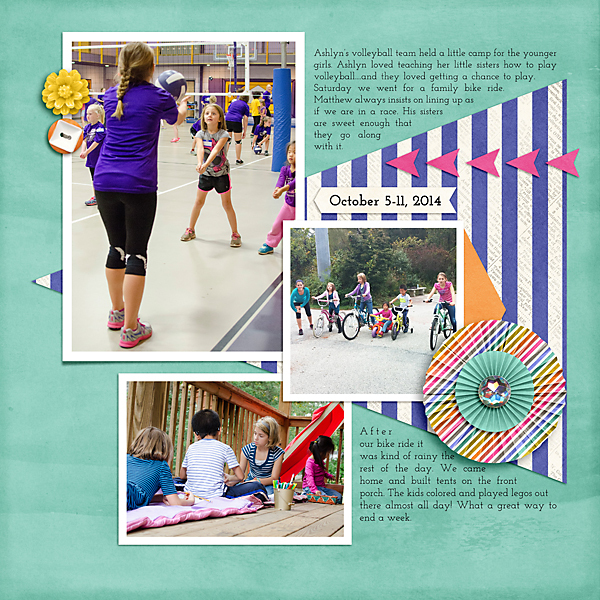 Journaling: Ashlyn’s volleyball team held a little camp for the younger girls. Ashlyn loved teaching her little sisters how to play volleyball....and they loved getting a chance to play. Saturday we went for a family bike ride. Matthew always insists on lining up as if we are in a race. His sisters are sweet enough that they go along with it.After our bike ride it was kind of rainy the rest of the day. We came home and built tents on the front porch. The kids colored and played legos out there almost all day! What a great way to end a week. Just click the image to download. This one gives you lots of spots for photos! The freebie week 41 is not linked? Sorry about that! It's all fixed now. Thanks for the free journal card. 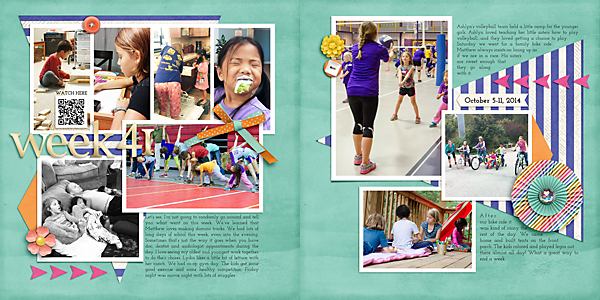 I love reading about your week ... your kids certainly have a lot of fun together! 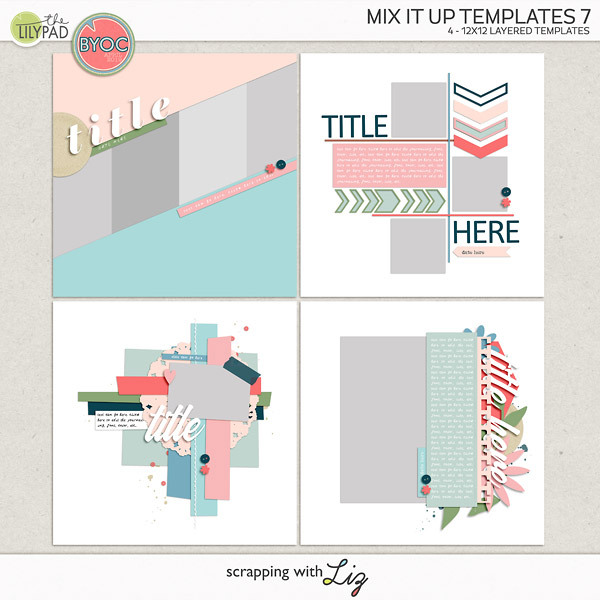 thanks for the JC templates!